UNICEF has called on Burma to allow full humanitarian access to the Muslim-majority north of Rakhine state. Ten of thousands of people have been cut off from food and other aid normally provided by international agencies since October 9th. A Burmese paper has been banned from reporting on soldiers’ violence against Rohingyas. The Myanmar Times (the country’s oldest English daily) has stopped covering the Rohingya situation after one of its senior staff was fired over an article citing multiple gang rapes of Rohingya women by soldiers. Around 30,000 people have been left homeless after state-ordered demolitions in Lagos. The Nigerian government has denied hiring mercenaries to halt Boko Haram. A Defence spokesman stated the claims were ‘mischievous and unfounded’. Uganda will host the inaugural biosafety and biosecurity regional conference next week. The conference will focus on developing mechanism to counter bioterrorism amidst disease outbreak in the East Africa region. The South Sudan army has stated it has withdrawn from the Sudan border. Lul Ruai Koang, spokesperson of the SPLA army, called upon the Sudanese government to pull out its troops at least ten kilometres from the common border. 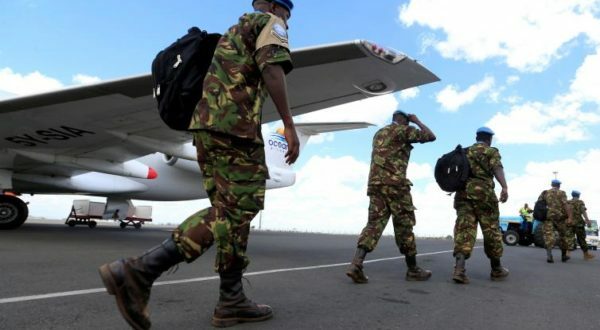 Kenya has withdrawn its first batch of troops from the U.N South Sudan mission. 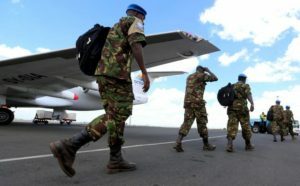 The move came in response to the sacking of the Kenyan commander of the UNMISS force. 20 people have been killed in renewed fighting between the South Sudan army and unknown gunmen. Residents of Yambio said they woke up to the sound of gunshots on Thursday morning, spreading panic across the area.